Delhaize America is working to enhance product freshness at its stores. 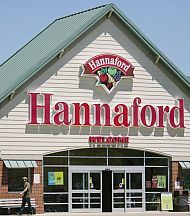 Operating more than 1,200 stores along the East Coast, Delhaize America companies include Food Lion and Hannaford. Fresh and short-shelf-life products are one of the toughest areas of retail planning. To this end, the grocer has selected RELEX Solutions’ supply chain planning solutions to forecast and replenish perishable categories within its distribution centers, which service its 1,000 Food Lions in the Southeastern United States and its 181 Hannaford stores across New England and New York. RELEX will partner with Delhaize America to enhance its product freshness, forecasting and inventory management at its distribution centers. The company launched in North America in 2015.